Instant Pot Nacho Dip – the perfect dip for any party! When I first got my Instant Pot, I knew that I wanted to make a lot of soups, stews and roasts. But I never imagined that it would take over my slow cooker when it came to making dips for appetizers. Instant Pot Nacho Dip – the perfect game day appetizer. I love to make spinach artichoke and buffalo chicken dip in my 6 quart Instant Pot. It stays warm for as long as I need it, without scorching the sides of my dip like my slow cooker does. But I have heard horror stories of thick dips getting the dreaded BURN message when made in the Instant Pot. That is why it took me so long to convert this recipe into Instant Pot Nacho Dip. So what exactly is Instant Pot Nacho Dip? Use lean ground beef for this recipe for best results. 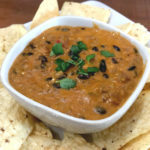 It is a delicious beef, black bean and cheese dip that is the perfect medium for dipping tortilla chips. The beef is seasoned with a combination of nacho spices that gives it that authentic Mexican taste. Diced onions and jalapenos give it another depth of flavor that are traditionally found in a classic nacho dip. And don’t forget the black beans! Just like most nacho plates, beans are a must. 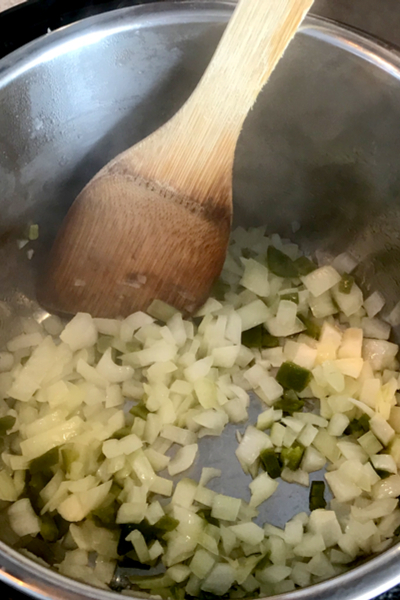 Saute the onions and jalapeno first – this will help the pot come to pressure quicker. Okay, maybe not a true must, but it adds so much flavor and texture to this Instant Pot Nacho Dip. And because beans are so easy to make in the Instant Pot, why not?? When I am asked what is the single most reason that someone should buy an Instant Pot, I don’t hesitate to answer. Hands down, the most time and money saving reason to purchase an Instant Pot is to cook dried beans. Seriously, that is my answer! 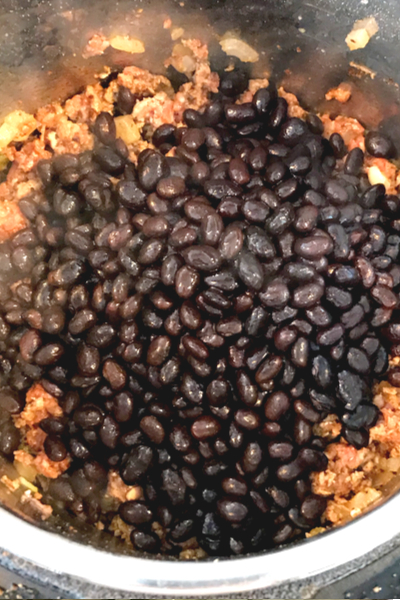 Black beans that have been cooked in the Instant Pot are added to this recipe. I was never a huge bean eater before. It just took long to make them from a bag of dried beans. And I never seemed to have the canned versions in my pantry when needed. But now that I have my Instant Pot 6 quart Duo, beans have appeared back in my life. Dried beans typically take hours to soak before you can make them on the stovetop. And by hours, I mean overnight. And even then, you must cook them for at least an hour or two before they become tender enough to eat. Be sure to place the salsa on top of the beef and beans and do not stir. I am lucky to know by noon what we are having for dinner that night. On most days, I certainly haven’t planned that beans will be on the menu the following night. And that means, there has been no soaking of the beans. But with the Instant Pot, there is no worry of that! How To Cook Dried Black Beans FAST! Just place a pound of rinsed and drained beans into the Instant Pot with 3 cups of water. Once the cook time expires you can saute off any excessive liquid if desired. In about an hour, you will have perfectly cooked black beans ready to use in any recipe. And that hour includes the time the pot takes to build up and release the pressure. The beans actual cook time is only 35 minutes! Amazing isn’t it? For this recipe use the equivalent of 1 can of beans which equals 1 1/2 cups of cooked dried beans. When I first made this Instant Pot Nacho Dip, I wanted to make sure that it was nice and thick. 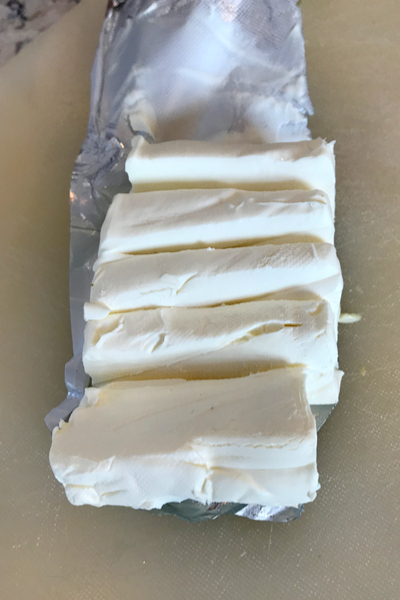 To help the cream cheese melt faster, cut it in sections before adding it to the Instant Pot Nacho Dip. So I decided not to add any water to the pot. I know, I know, the manual says to always add 1 cup of water to the 6 quart Instant Pot when pressure cooking. However, there are many recipes where that just results in a runny, thin mess. So after I sauteed my onions and jalapeno, I added the ground beef, seasonings and salsa. 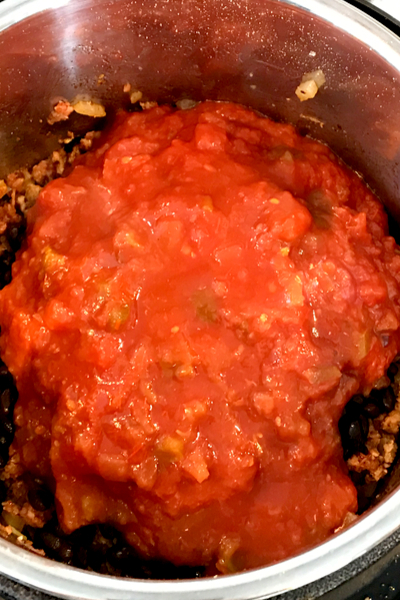 When cooked, the beef releases moisture and there of course is liquid in the salsa. So I thought I would be fine. Nope! The dreaded BURN message occurred. And the final step – stir in the shredded cheese and cream cheese until melted. So when I tried it again I decided to use 1/4 cup of water. 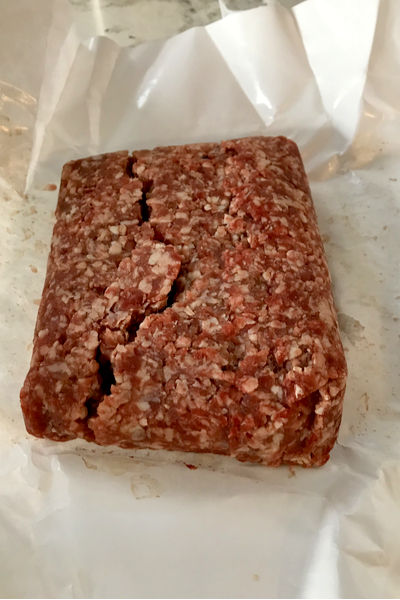 The results – SUCCESS! However you not only need to add a little liquid to the pot, you also want to make sure that you use a lean ground beef. You could of course use an 80/20 mixture, but you are likely to have fat sitting on top of your dip when finished. Because we cook the beef without draining off the grease, be sure to use a lean version. In order for beef to be labeled as lean, it must have no more than 8% fat. And finally, when the dip is cooked, you can allow some of the liquid to cook off by placing the pot on the saute mode. Just be sure to stir it frequently so it doesn’t stick to the bottom of the pot. All that is left to do is to stir in the cream cheese and shredded cheese until melted. Now you are ready to sit back and enjoy! 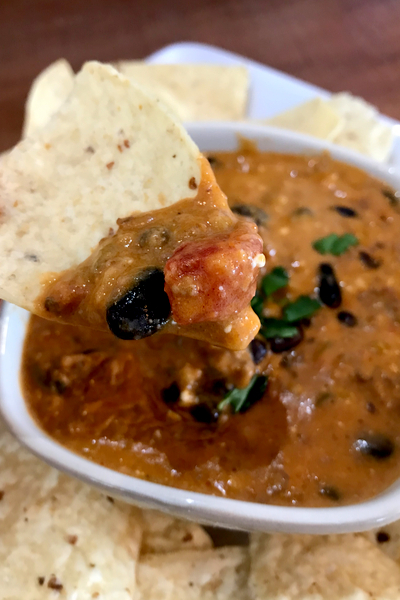 Delicious beef and bean nacho dip made in the Instant Pot and ready to eat whenever you are! Turn your Instant Pot on Sauté. Once your display reads HOT add the olive oil, onions and jalapeno peppers. Sauté until tender, approximately 4-5 minutes. Add the ground beef, salt, chili powder, cumin and cayenne pepper. Sauté until the ground beef begins browning. 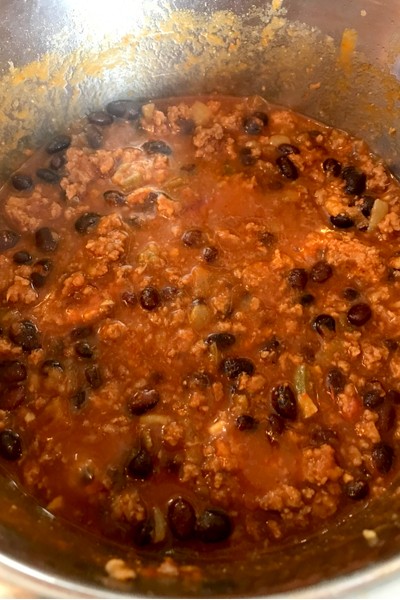 Add the black beans and salsa to the top of the mixture. Do NOT stir. Lock the lid and place the valve in the sealed position. Pressure Cook/Manual on HIGH pressure for 10 minutes. Once the cooking time expires, allow for Natural Pressure Release for at least 5 minutes and then manually release any remaining pressure. Stir in the sour cream and cheese until melted. 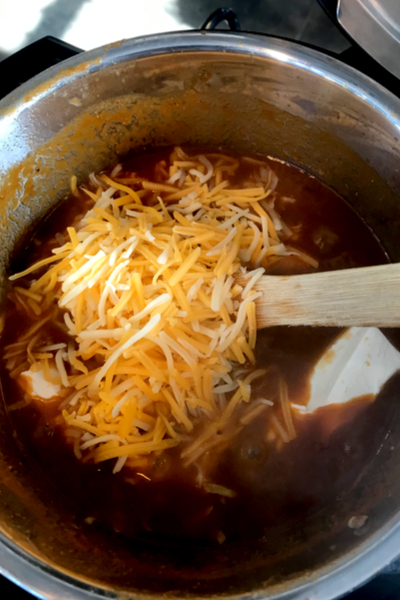 Before adding the cheeses, you can release some of the moisture of the dip by placing the Instant Pot on saute until reduced down. Be sure to stir it frequently to prevent it sticking to the bottom of the pot.